Marshmello’s alter ego just threw an online gig, drawing an audience of 10 million people. The venue? Fortnite’s old familiar battleground. Fortnite seems to be increasingly popular. From drawing billions worth of investment to churning out millions back in the form of esports prizing money, and now – Marshmello, a popular Fortnite personality, player, and streamer with a flair for DJing, threw an in-game concert that drew 10 million concurrent players on Saturday, February 2. This is not only an impressive crowd to draw out in a single gaming session, but also a new high for Fortnite. In November, 2018, Fortnite posted 8.3 concurrent players, which was an impressive number in its own right. It was an interesting public stunt that drew a record number of live viewers, with the numbers not including people tuning in to watch via Twitch. Though the concept in itself is bizarre, Fortnite has managed to permeate the very fabric of popular culture, with Marshmello and Ninja becoming role models for millions around the world. The in-game concert had a lot of backing by Epic Games with the visuals being fantastic and characters enjoying free-floating around a central stage. 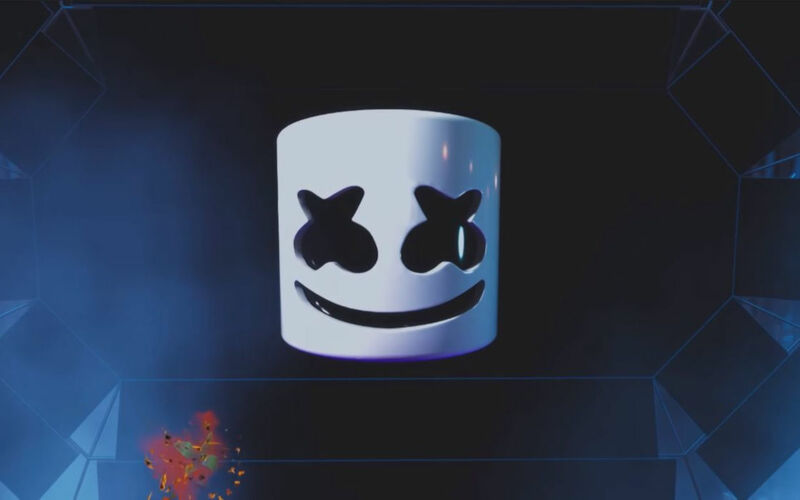 Marshmello himself was egging avatars on as DJs do during real-world events. The exponential growth of the game has allowed for all sorts of experimentations in the world of Fortnite. An investigation by The Independent, a respected media outlet in the United Kingdom, has revealed that criminals have been using stolen credit details to purchase V-Bucks, Fortnite’s in-game currency, and thus launder money. The scheme was daring but out of the over 200-million-big audience apparently enough people have opted for buying V-Bucks cheap from the Dark Web, thus giving criminals an opportunity to benefit from stolen credit card data. Marshmello hasn’t announced any plans to stage more in-game concerts, but Epic Games are in the habit of creating one-off events that continue to entertain successfully entertain the population of Fortnite. Meanwhile, the company is preparing for a 2019 which will be marked by esports, or at least it’s supposed to. Fortnite has long maintained a teen-focused in-game environment, helping it draw millions of youngsters who play the game, in most cases – along with their family. Fortnite’s fully transformed itself in a cultural phenomenon an Marshmello’s latest live show is an indication of that. Fortnite's Marshmello held a Fortnite concert, drawing 10 million concurrent players on the occasion, not counting people who tuned in to watch.